Losing weight through watching your diet can become monotonous over time. There are only so many raw vegetables and chicken breasts that you can eat before your taste buds become bored. 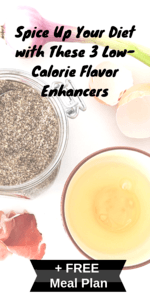 To liven up your diet without adding extra fat and calories, you can experiment with a variety of spices and other flavor enhancers. Here are three of the best additions that can freshen up your diet. Spices are a great way to add flavor without calories. A simple pinch of this and a dash of that can elevate nearly any dish. The key to using spice mixes is to understand what flavors best complement the foods that you need to enhance. TastyThin demonstrates examples of this like, sage, oregano, and basil work well with Italian foods, while chili powder, cumin, and cayenne are ideal partners for Latin-inspired cuisine. Once you begin to understand the basic building blocks of spices, you can build a variety of mixes designed to kick up the flavor in all of your foods. Although most people consider essential oils to be a health or beauty product, they also boast significant flavor-enhancing qualities. As the scope of their use expands, essential oil companies like doTERRA are highlighting the flavoring power of essential oils. When it comes to cooking and baking, good oils to use are sage for poultry dishes, lavender for fruit crumbles, or oregano for many pasta recipes. Most recipes recommend adding the oils toward the end of the cooking process so that the flavor is preserved. These oils can also come in handy if you’re out of a certain ingredient. For example, a few drops of lemon oil is an ideal replacement for fresh lemon juice. Fresh herbs are a good addition to any diet. Not only do these delectables add surprising amounts of flavor, but they also provide health benefits. On an ounce-for-ounce basis, herbs deliver a powerful nutritional punch as well as an explosion of flavor. For example, sprinkle a little fresh rosemary into your everyday pasta dish to add an additional layer of flavor. There’s a key difference between fresh herbs and dried herbs, as Everyday Health explains, the biggest differences between dried herbs and fresh herbs are the taste and the potency of the herb. Fresh herbs have a subtler, fresher taste, and you’ll need a much greater quantity of fresh herbs than dried herbs for the same taste effect. With a little research and preparation, you can enhance the flavor of many bland foods without worrying about adding unnecessary fat and calories. It will get easy to incorporate these flavor morsels once you learn how to leverage their power. Just because you’re watching your calories doesn’t mean you have to be miserable! 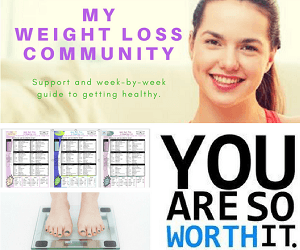 Let Remove My Weight help! Check out our free 7 day diet plans for whatever calorie range you’re looking for.